The apprenticeship starts in August or September each year and lasts three years. Thereafter, you can complete an additional trainee year as intensive preparation for subsequent employment as a service watchmaker. You receive a gross wage graded by apprenticeship year. In addition, depending on availability, you have the option of rent-free accommodation in the Wempe watchmaker apprentice shared living space. You become familiar with the high-quality Wempe watch collections and corresponding technology. You also learn all the steps involved from putting watches into operation to the repairing of various mechanical watches and clocks and maintaining and renovating clock housings and equipment parts, as well as learning to handle related administrative tasks and gaining extended basic knowledge of the Wempe-internal inventory program. And finally, even during your apprenticeship, you can help with work in the watch service at a Wempe branch and put what you have learnt to practical use on-site – Wempe is the only company in the sector to offer this possibility. The theoretical training takes place in cooperation with the famous vocational education centre for watchmakers in Glashütte – we are very proud to be able to offer you this valuable apprenticeship content. The theory periods are organised into a teaching block. Within the framework of the Wempe academy, you can benefit from comprehensive internal qualification measures and learning opportunities such as training sessions and workshops – going far beyond the scope of traditional apprenticeships. In addition, you can participate in regular visits and courses at various globally renowned watchmaking manufacturing sites. After the apprenticeship, you can plan the rest of your career with worthwhile further education and training sessions – we assist you with diverse investments and support offers. 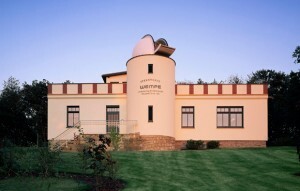 Only Wempe offers this range of prospects: following a successful watchmaker apprenticeship, depending on personal requirements, you can either take on a role in the company-own watchmaking production facility in Glashütte, in the central watchmaking workshop in Glashütte or Hamburg or as a service watchmaker in one of the Wempe branches, including those abroad. We have developed a one-year trainee programme for this option, during which you complete various educational courses in the service workshop in Hamburg and different branches – remuneration for this year is equal to the entry-level salary for a watchmaking assistant. With the support offered by the Wempe academy, you can train to the level of master watchmaker – and become a specialist in international brands through external courses and internships.